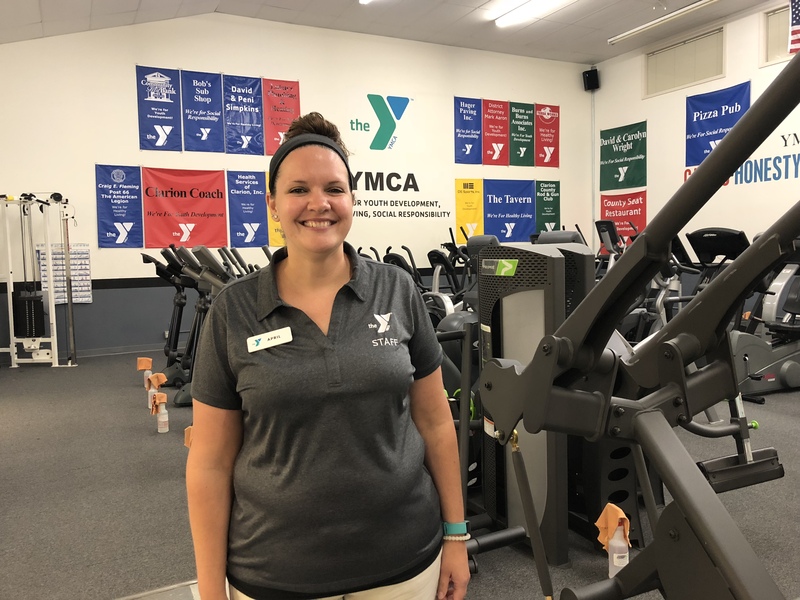 CLARION, Pa. – The Clarion County YMCA has hired five new staff members in anticipation of the opening of the new Clarion County YMCA at 499 Mayfield Road in Clarion. Michelle Miller, of Frogtown, was selected as the new Director of Child Care. As the Director of Child Care, Miller will oversee the operation of the full-day child care center at the YMCA. The center will offer care for infants through age twelve five days a week from 6:00 a.m. to 6:00 p.m.
Miller is a graduate of Wallenpaupack Area High School and Pennsylvania College of Technology where she earned a degree in Early Childhood Education. Miller has worked at the Clarion County YMCA for three years as the Child Watch Coordinator and has experience as a preschool teacher, afterschool program coordinator and was the head counselor at Camp Coffman’s YMCA Summer Day Camp for two years. 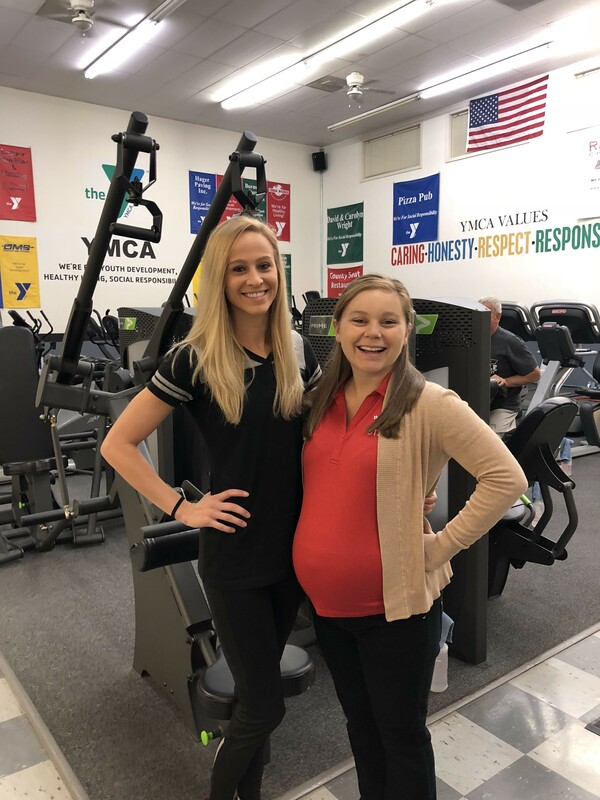 Rachel Berry, of Clarion, has been selected as the new Clarion County YMCA Wellness Coordinator. She will oversee all wellness programs and operations including wellness classes, wellness challenges, and personal training. Berry will ensure all members are comfortable on the equipment and in the facility. Berry has been employed with the Clarion County YMCA for four years as a Rehabilitation Coordinator, Personal Trainer, and Member Services Representative and has coached gymnastics at the Oil City YMCA for about 10 years. Berry earned her Bachelor’s Degree in Exercise Science from the University of Pittsburgh and is a Certified Exercise Physiologist through ACSM. She is a graduate of Rocky Grove High School. April Dinger, of Clarion, has been named the Clarion County YMCA Membership Coordinator. April will supervise the YMCA Membership Desk and staff, promote and organize membership events, open houses, and specials. April Dinger has worked for the Clarion County YMCA for five years as a group exercise instructor and coordinator. She is a graduate of Starpoint Central High School in Lockport, New York and will graduate from California University of Pennsylvania in May 2019 with a degree in Sports Management. James Collins, of Clarion, has been selected as the new Clarion County YMCA Program Director. Collins will coordinate all youth sports, manage the aquatics department and oversee all aquatics classes and swimming pool operations. Collins comes from an aquatics background, having worked as the Lake Director at South Mountain YMCA and in various other aquatics roles for four years. He has an extensive background working with children. Collins earned his undergraduate degrees and a master’s degree from Plymouth University in the United Kingdom. Bently Morrow was named Property Manager at the Clarion County YMCA. 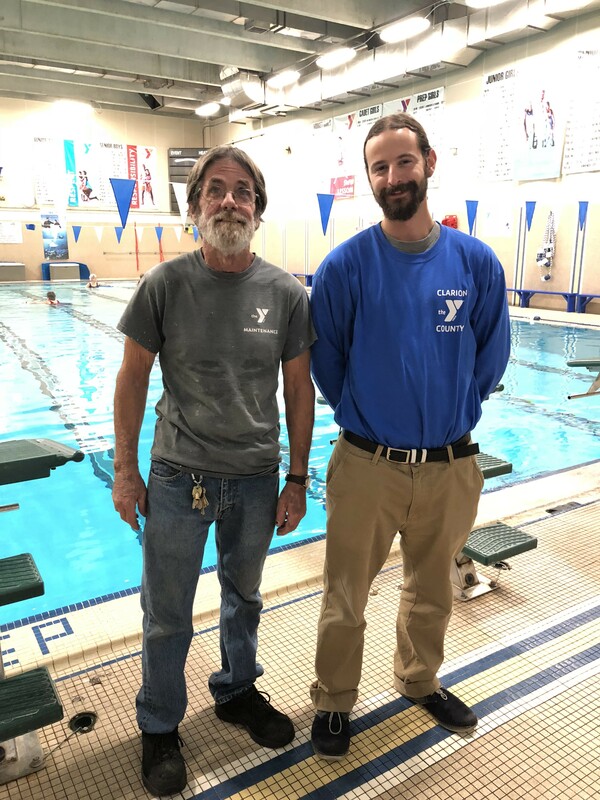 Morrow, a Franklin native, will oversee all building maintenance and operations at the Y. Morrow comes from an extensive background in YMCA building maintenance operations, having served as the Property Manager at the Oil City YMCA for the last 10 years. Plans for the new Clarion County YMCA have been years in the making. The new Y will become a reality with a grand opening planned in the coming months. Located centrally in Clarion County on a 6.8-acre site adjacent to the Clarion Oaks Golf Course near I-80, the project will fill the needs of the entire community, from infants to the older adult. Full service wellness center outfitted with cardiovascular and resistance training equipment, free-weights, and group exercise studios. Full gymnasium with a separate running/walking track. Family pool that will provide lap lanes, recreation and exercise, swimming lessons, aqua aerobics, and other activities. Full-day childcare for infants, toddlers, preschoolers and children before and after school through age twelve. Office space for outpatient rehabilitation. Administrative space with offices, conference rooms, work stations and kitchen. Multi-purpose rooms to support seniors in the mornings and children and teens after school. Support spaces, including lobby, reception, café, men’s and women’s locker rooms, family locker rooms, bathrooms, and storage. Family locker rooms with private changing area that will include a toilet, sink, and shower. Outdoor Deck for picnics and receptions. The current rented facility has served the community well over the last 17 years, but offers only 10,000 square feet and can no longer meet the needs of the YMCA’s growing membership. Improved resident access to health and wellness programs. Expanded community partnerships to advance healthy living and daily exercise including access to an indoor walking track and pool for aquatic therapy. Attract and retain a talented and qualified workforce. Expand learn to swim programs to all children in the region through partnerships with local school districts. Lower business costs for health insurance and workers compensation by supporting healthier lifestyles. For more information about the Clarion County YMCA and Y programs, please visit the YMCA website at www.clarioncountyymca.org, call 814-764-3400 and follow the Y on Facebook. 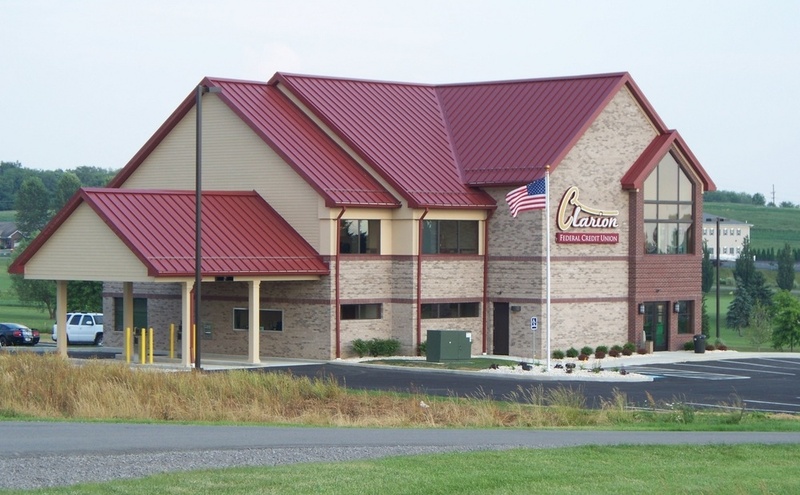 The Clarion County YMCA is a branch of the Scenic Rivers Association, which includes the Oil City YMCA, Clarion County YMCA, Younger Days Child Care, and Camp Coffman. The Clarion County YMCA hours are Weekdays 5:00 a.m. to 8:00 p.m.; Saturdays 7:00 a.m. to 4:00 p.m.; and Sundays 7:00 a.m. to 4:00 p.m.
Clarion County YMCA and exploreClarion.com have partnered to provide the community with YMCA News. This is an exclusive article only found on exploreClarion.com.